A bizarre, head-shaker moment of realization occurs less than two minutes into the 20-plus-minute film, during our first look at the passersby on the street, five stories below: Some of them are actually passing by. 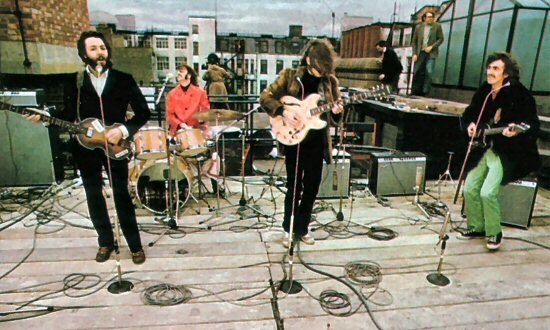 Across the street from the curmudgeonly pedestrians, on the roof of The Beatles’ Apple Corps headquarters at 3 Savile Row in London, the band is performing what will turn out to be its final public concert. They could easily have filled any stadium—any space at all, really—in the world, but there they are, the four of them in the flesh, the one and only actual Beatles, on Jan. 30, 1969, playing for free for the benefit of anyone in the neighborhood who cares to stop and listen. And yet some people are moving on. They take a brief look to see what the racket is, some make sour faces indicating mild annoyance, and then they continue on their way back to work. Can’t miss that marketing meeting! The Beatles performing an impromptu 42-minute live gig? New songs? John, Paul, George and Ringo right over there? From a historical standpoint, rock fans have cared very much since the day it happened. As we all now know, they’d been recording what’s come to be known as the Get Back sessions, the idea of which was to return them to their roots as a rocking little combo. With the aid of keyboardist Billy Preston, the Beatles had been rehearsing their less-encumbered new songs, filming it all for a documentary, to be called Let It Be. Someone—it was never quite definitively established who—suggested they play a concert, something they hadn’t done in nearly three years. They could have done it anywhere but planning out a huge gig with tickets and all that would have involved too much effort. They just wanted to see what it was like to play live again. Being January, they weren’t about to announce a big show in Hyde Park or any such open space. How about the Apple roof? Sure, why not? Apple engineer Alan Parsons set up two eight-track tape recorders in the basement of the Savile Row building and ran wires to the roof. Director Michael Lindsay-Hogg rolled film. With the cold wind blowing and a handful of spectators (including Yoko Ono) gathered, the four musicians, dressed for the weather, took to their instruments, facing the front of the building, and began to play. 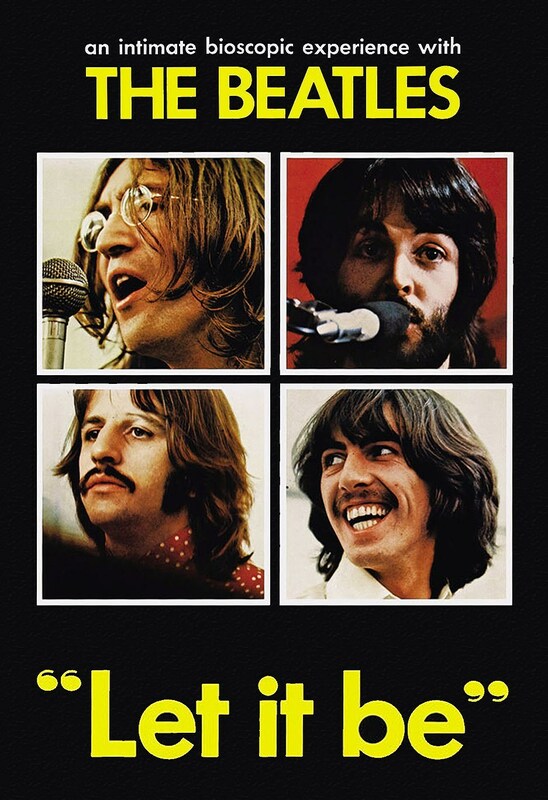 They start with “Get Back,” one of Paul McCartney’s new tunes, then John Lennon’s “Don’t Let Me Down.” Paul’s “I’ve Got a Feeling,” an update of their early club favorite “One After 909” and, finally, John’s “Dig a Pony,” follow, as the confused and/or delighted Londoners on the street—considerably more of them as the show progressed—crane their necks to catch a glimpse or continue on their way, uninterested in the history that was taking place right in front of them. Not surprisingly, the police show up before long. Ignoring them, the Beatles launch into a reprise of “Get Back,” Paul improvising a line about getting arrested for playing on a roof. There’s a smattering of applause as they wind things up, then Lennon steps back up to the microphone. “I’d like to say thank you on behalf of the group and ourselves and I hope we’ve passed the audition,” he says, one of rock’s most fondly recalled lines. Related: Did you know that San Francisco’s Jefferson Airplane played a rooftop gig weeks before the Beatles? Later that year, the Beatles would record Abbey Road, their final album, but by the end of 1969 they were effectively finished. On Sept. 20, John informed the others he “wanted a divorce.” By the time the Let it Be album and film were released in 1970—the latter containing some of the rooftop concert—the Beatles were no longer a band. If only they would release the Let it Be movie! I totally agree with the comment made by JJK!!! 21:38 minutes from a 42 ‘ gig ? How long was it really ? And if longer than what we could see, why cut it ? My problem with the concert footage in the original Let It Be film is they spend more time showing the people on the street then they do showing the Beatles, terrible mistake. Paul has said that he wants to re-edit the movie to make the Beatles look better. Hopefully they release Paul’s version alongside the original cut. And after 50th Anniversary editions of Sgt. Pepper’s and the White Album, I’m sure a big set is planned for Abbey Road this year, and with all the movie footage and tapes available, a Let It Be box is sure to be an expensive monster and is probably due in May of 2020. Ha! After I left my previous comment, I look up and there’s the story that Peter Jackson has the footage and is cutting together a new movie.